One of the easiest ways to get to Sintra from Lisbon is via train. Trains depart from Rossio Station in the centre of Lisbon every hour and the journey takes 40 minutes. A single ticket costs €2.15, or a day return costs €4.30 (plus €0.50 for the initial purchase of the railcard). The 24-hour Lisbon transport pass doesn't include this journey. You can't pre book tickets for these trains, but if you arrive at the station with 10 minutes to spare you'll have no issue with getting a seat. Other options of getting to Sintra include driving there if you have a hire car, or joining an organised day tour that departs from Lisbon. Many tourists visit Sintra as a day trip from Lisbon and only see the main three attractions. However, Sintra has so much more to offer! To get the most out of Sintra stay overnight and give yourself a couple of days to leisurely explore the town. Pena Palace is potentially the most magnificent and unique castle I've ever seen. It's painted with vibrant reds and yellows, and is covered in beautiful, patterned tiles. Often places that are hyped up turn out to be over-rated, but this couldn't be further from the truth for Pena Palace! Visitors can choose between purchasing tickets that allow access into the palace grounds and park, or a slightly more expensive ticket that gives you entry into the palace itself. We opted for just the park and grounds, and booked our tickets online to get a 5% discount. The Moorish Castle (also known as the Castelo dos Mouros) is one of the more under-rated sights of the town, but was definitely one of my favourite places. 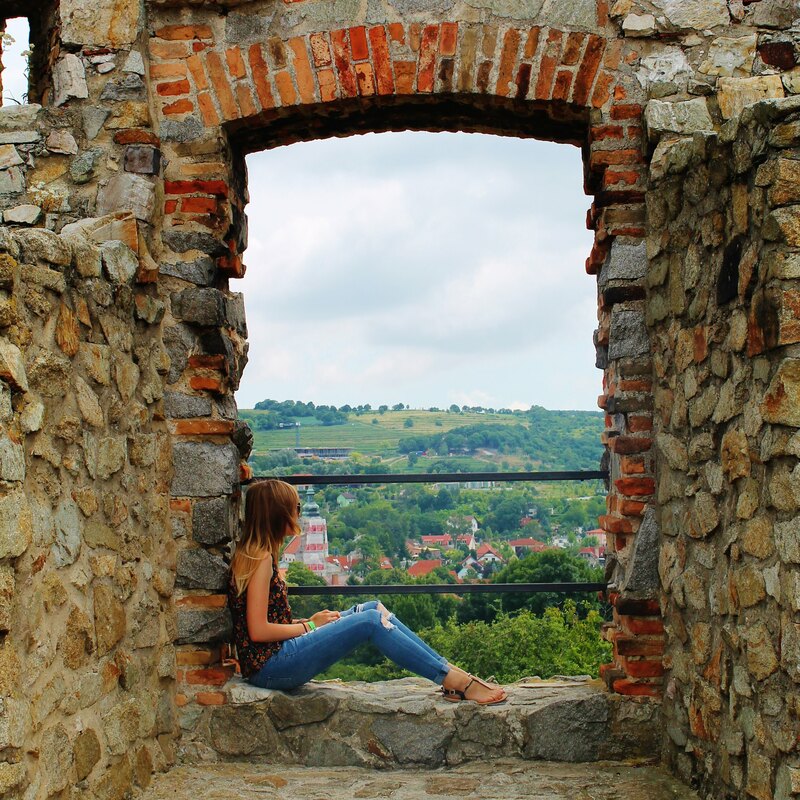 The ruins have been well preserved and you can still walk along most of the walls. In fact, it almost reminded me of The Great Wall of China! From here, you can see the town sprawled out below and the National Palace in the historic centre. You can also catch a glimpse of Pena Palace in the opposite direction of the town. The National Palace is located right in the centre of the town and you really can't miss it. It's two huge chimneys are a well-known landmark in Sintra, and although it's not as magical-looking as Pena Palace, it's still very impressive. Most people who visit Sintra only visit the top three attractions above as part of a day trip from Lisbon. If you have more time in the town though, you should definitely check out Regaleira Palace (Quinta da Regaleira). This Gothic palace is in the grounds of an impressive park full of lakes, grottoes, wells and underground tunnels. You can't book tickets online for this site, so give yourself enough time and expect to queue for around 30 minutes if you visit in the middle of the day. Other points of interest that I really wish we'd had time for include Monserrate Palace, and hiking up to Cruz Alta, a viewing point that supposedly gives the best views of Pena Palace. The easiest way for tourists to visit all of the main sights in Sintra is by using two bus routes; 434 and 435. The 434 bus route has been specifically designed for people who are visiting Sintra as a day trip. The route is a one-directional loop that starts and finishes at the train station. From the station it then goes to the National Palace, The Moorish Castle, and then Pena Palace before returning back again. A return ticket costs €5.50. The 435 bus route is ideal for visitors spending more than one day in Sintra. This route starts from the town centre and goes to the Regaleira Palace and the Palace of Monserrate. A return ticket costs €2.50. Sintra is a small town with narrow, busy roads, and limited parking, so driving isn't recommended. However, if you don't fancy waiting for the bus, there are plenty of tuk tuks at each of the main sights offering rides. To avoid queues at the ticket offices, book online beforehand. You also get 5% off online! Visit the Moorish Castle first, then Pena Palace, and then the National Palace last in the afternoon. Most visitors will visit the National Palace in the town centre first as this is the first stop on the bus. However, if you get the bus straight to the Moorish Castle, you'll avoid some of the crowds. You can then walk from the train station to the town centre in the afternoon to visit the National Palace when all of the crowds will have moved on to Pena Palace. It only takes about 10 minutes and doesn't involve many hills. Take lunch and snacks with you. There aren't many options for food at each of the main attractions, and what is there is heavily overpriced. Visit for 2 days: We thought that 1.5 days would be enough and were completely wrong. An extra afternoon would have been perfect. 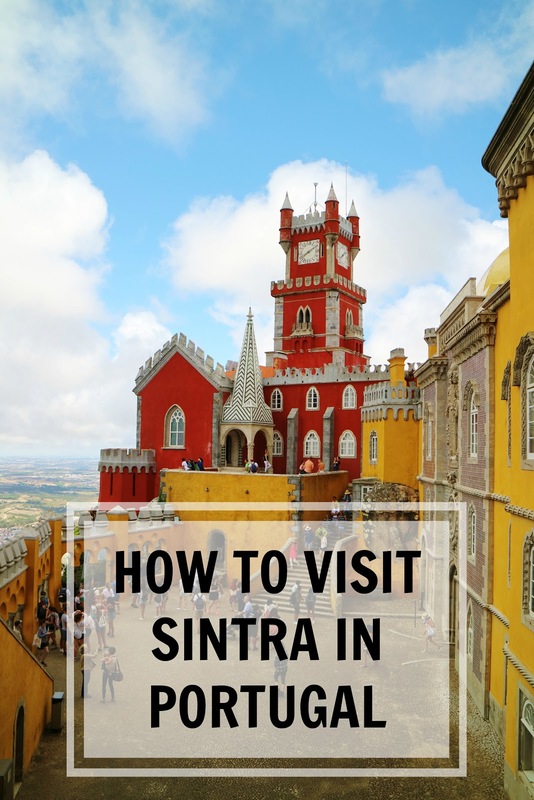 Have you visited Sintra before? If so, what are your top tips?